Chase V. Parnell | Stahancyk, Kent & Hook P.C. Prior to joining Stahancyk, Kent, and Hook, Chase worked in public service as a case manager for the Oregon State Department of Justice, Division of Child Support. During his time with the DOJ he learned the entire child support cycle: from establishment, to modifications, to enforcement. Chase also has negotiation experience, which he developed in the tech industry while working on corporate contracts for Oracle. While in law school, Chase completed a Native American law certificate program, was on the Environmental Law Club’s board of directors, and he interned with the United States Attorney’s Office where he had the opportunity to shadow some of the best trial lawyers in the country. Juris Doctorate in Law, University of Montana, class of 2015. Bachelor of Arts in Business Administration, University of Oregon, class of 2008. Churchill Highschool, Eugene, Oregon, class of 2003. 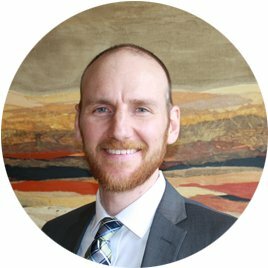 Chase is an active member in the Oregon State Bar, the Deschutes County Bar Association, and the Family Law and Native American Law sections of the Oregon State Bar. Chase is actively involved in furthering the pedestrian and bicycle commuting infrastructure in Bend, he is the website administrator for his church, and he spent many years as a high school cross country coach at Bend High School. Chase is a dedicated family man to his wife and two young children. His other love is running. He has completed over 40 races of marathon distance or longer, including four 100 mile trail races. When he finds a rare moment of silence, he’s likely reading a book or plotting his next trip abroad.